I love this wig the hair is so nice and soft I Especially love the baby hair. This is my first wig from your company I love it !! Absolutely love this wig! It was my first time wearing a wig and I wanted something that looked natural. My hair is long and straight, so I could never achieve this look on my own. I received many compliments. This is my second full lace wig. It is much better than the first one. Curly hair wig is so much more manageable. The cap is bigger on this one which I like cuz I have a big head. 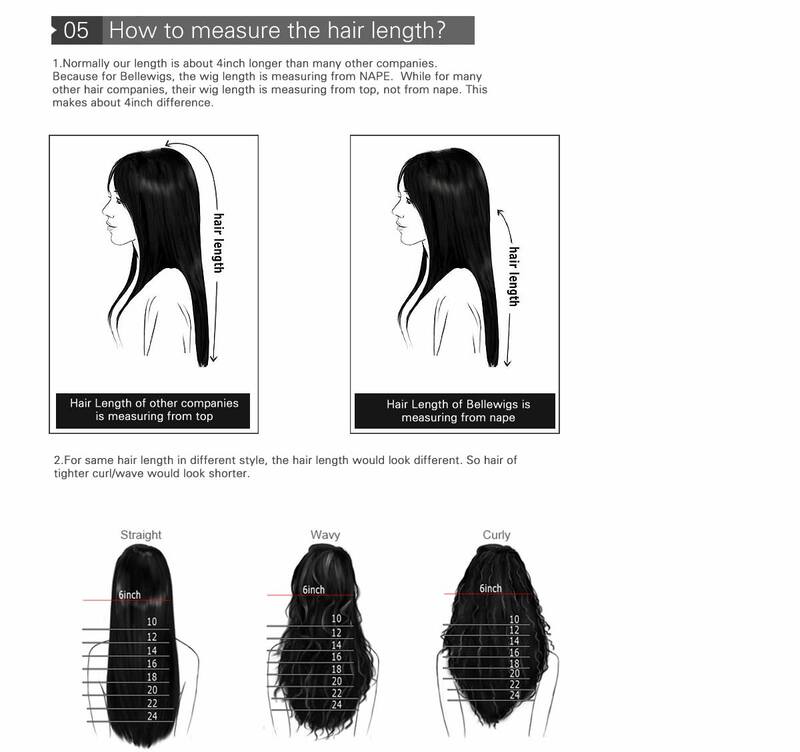 The lace is soft, and the hair is nice and thick, very silky. Most importantly, no tangle! I absolutely love this lace front wig. It took the color very well and so far, no shedding has occurred. 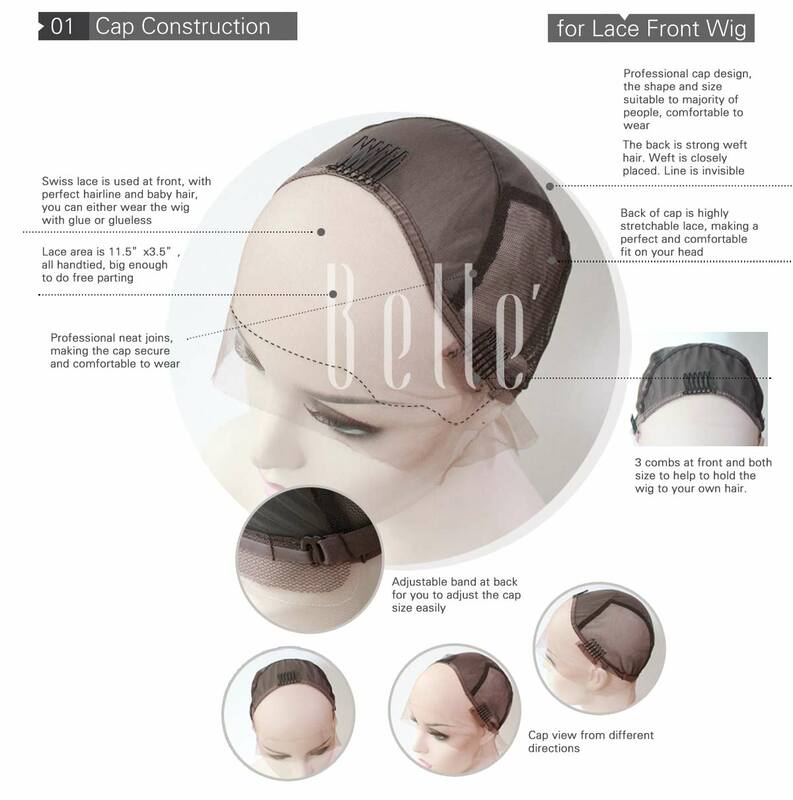 I will definitely purchase from bellewigs again!! I was going to wait to write a review but I don't think I'm going to have any problems with this wig. I've already bleached the knots, washed it, and the hair is still silky and soft with no shedding. 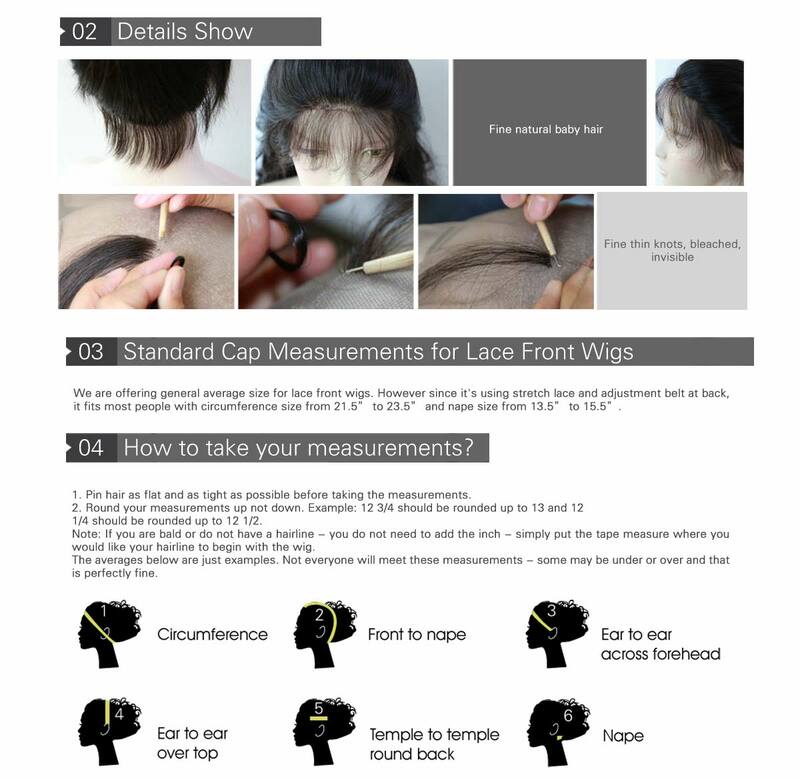 Shipping was fast but if I had the time I would've ordered a size small wig cap. I got the unit with prime and it came in two days. The hair is really good - Its soft and it sheds a little but not anything severe. After the wash, it took its natural wave which is really pretty. Its super easy to comb or even finger comb. Overall, it was worth the price. mggggg, I love my new wig, no shedding, no frizz, no tangles. I live in my wigs 24/7 because of bulging disc and pinched nerves in spine in several places, I can't do the things I use to do, I still like to look my best. I never let anyone see me without my wig. I received the package in a timely manner. The contents were as described the seller. I am very pleased with my purchase and will definitely be purchasing again. Absolutely wonderful wig. Very natural look and feel. Just the right density at 150% and wonderful quality. I recently paid over $300 for a similar wig and now I feel gipped! I should have came here 1st. If you're on the fence about purchasing this wig, I'd say "go for it!" You won't be disappointed.